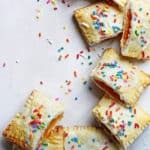 Homemade Pop Tarts Recipe – If you craved the originals as a kid, you will love this amazing homemade version which is almost just as easy to make! 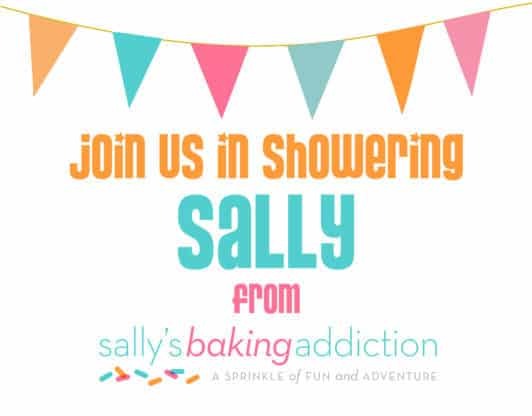 I’m so excited because today our awesome food blogger community is celebrating the amazing Sally’s Baking Addiction with a virtual baby shower filled with all the sprinkles! Her baby is on the way, and we couldn’t wait to share love as she gets super close to becoming a mommy. Sally is such a bright light in our delicious community so I am so glad I get to celebrate her joy today. Homemade Pop Tarts seemed perfect for this considering that soon enough she might be making these as her baby gets older and heads off to school for the first time. When I was a kid, mornings went something like this: I overslept (always), I grabbed a bowl of cereal or threw a pop tart in the toaster and quickly got myself together for school. Now that I’m an adult, I have to say that my mornings are as frenzy filled as they were before. 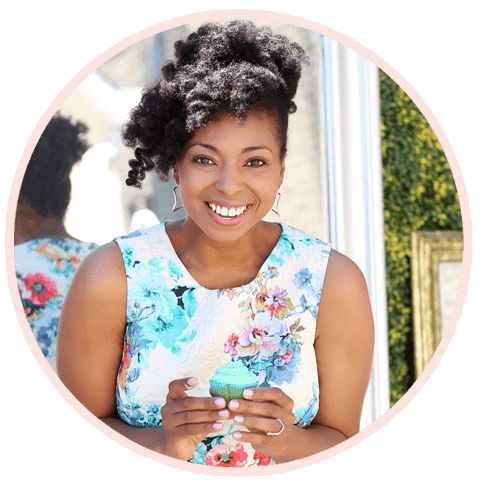 I’m constantly rushing out of the door to head to a meeting or appointment or blogger breakfast. However my breakfast options have changed. I am either making scrambled eggs for protein, my trusty green smoothie or ironically adding a pop tart to my toaster but the difference is these are homemade. Once I realized how easy it was to make my own, I started making this homemade pop tarts recipe all of the time. They are so delicious and not as time consuming as you might think. The ingredients required to make homemade pop tarts is not very extensive. There are ingredients for the making the dough, the filling (usually some kind of fruit) and the icing to top it. The icing is optional. You can make these without the icing, but why would want to do that? or fig preserves like my Big Mama does, they would be absolutely sensational in these. You could also fill them with chocolate or peanut butter. Simply popping these into your toaster oven and setting it to the doneness you prefer is about as easy as it gets. I love the golden brown finish and the gooey inside of these. 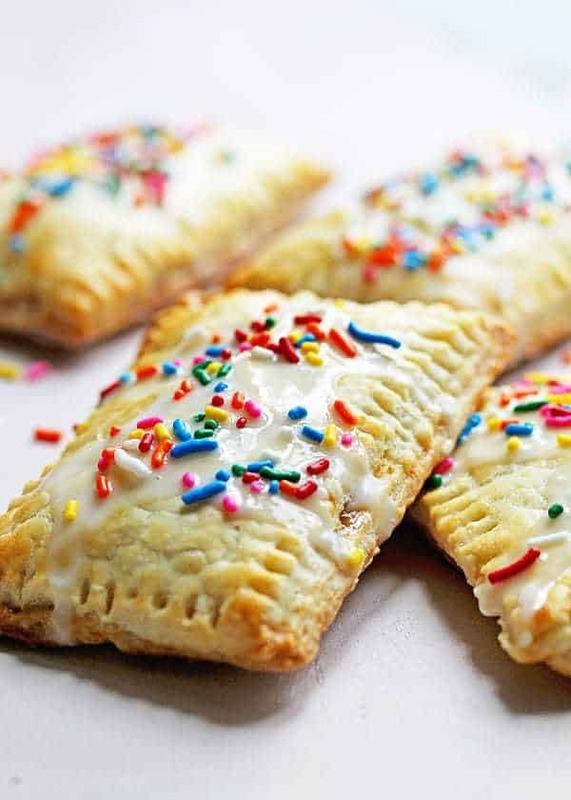 To finish this homemade pop tarts recipe off, I create a simple icing and top with sprinkles. Can you just imagine how much the kids would love these? They would also be super fun for an entertaining brunch as a starter. Congrats to Sally and her family! We can’t wait to see your blessed bundle of joy! Ever want to know how to make grits? This southern grits recipe is perfect! Need to learn how to make hash browns? 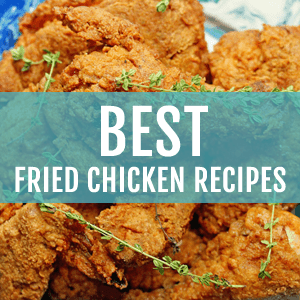 This Hash Browns recipe is the best on the internet! This Chicken and Waffles recipe is everything!! The buttermilk waffles are a dream. Ever tried a johnny cakes or hoe cakes? These are the ones to try for your upcoming brunch! Perfect pancakes are my jam! These lemon ricotta pancakes, or this easy blueberry pancakes recipe and even these brown sugar pancakes are incredible! Make sure to check out some of the other fun sprinkle filled treats from bloggers celebrating Sally today! Homemade Pop Tarts Recipe- If you craved the originals as a kid, you will love this amazing homemade version which is almost just as easy to make! In your food processor, add flour, sugar and salt and pulse a couple of times until just combined. Next add your butter and pulse until crumbs just develop. Slowly add the water in until a rough ball of dough forms. Remove the dough and cover with plastic wrap and place in the refrigerator for 30-45 minutes to rest. Remove dough from fridge and add a bit of flour to a clean counter and place dough on it. Using a rolling pin, quickly roll dough out to about 1/4 inch thickness. Cut out rectangle sizes for pop tarts. You should be able to get at least 5 pop tarts from this dough which means you will need 10 rectangles. Add about 1 1/2 to 2 tablespoons of seedless jam or preserves to the center of 5-6 rectangles leaving about 1/4 inch of space around the outsides. Place plain rectangle on top and press the edges together. Using a fork, crimp the edges to seal them. Place back in the fridge for about 15-20 minutes to firm up before baking. Bake for about 20-25 minutes or until golden brown and puffed. Cool until room temperature or just warm. Whisk together confectioner's sugar, jam or preserves, milk and vanilla until nice and smooth. Spoon over cooled pop tarts and serve. I tried this recipe using the store-bought pie crusts and the issue I ran into was, after baking, the preserves bubbled out of the crimped seams and spread onto the cookie sheet, creating a sticky mess. I had thought about adding air holes like I do when making apple hand pies, but according to your recipe, it wasn’t required. So maybe I was the only one with this problem? Otherwise, these are pretty easy to make and are quite tasty. I am going to give these a shot today. We are vegan so I will make a few swaps, but looks like a great recipe. My kids will love it! Sounds great! Let me know about your vegan swaps. Would love to hear how they work so I can let other followers know. Thanks for this. I have used some of Sally’s Baking Addiction recipes to my delight ? And I had my first megpie today and thought to try my hand at some. Thinking about trying these. 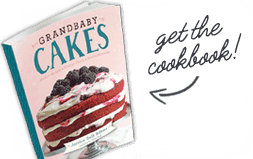 I like your recipe because the pie crust comes closest to my grandmother’s pie crust recipe! Wow, I love this recipe! Just delicious and can recommend it to everyone! There is nothing to adapt, just perfect as it is! Hooray I’m so glad you enjoyed it! I love your recipes! I don’t have a food processor but have a standing mixer and a blender. I have made pastry before using the standing mixer and then two knifes to further cut up the butter but it was a bit of a wing and a prayer… would a blender work? You can totally use two knifes or a pastry cutter instead. I do it old school all the time! My Goddddd…. Looks soo yummy. I can’t wait to give these a try. This homemade version looks really fantastic. 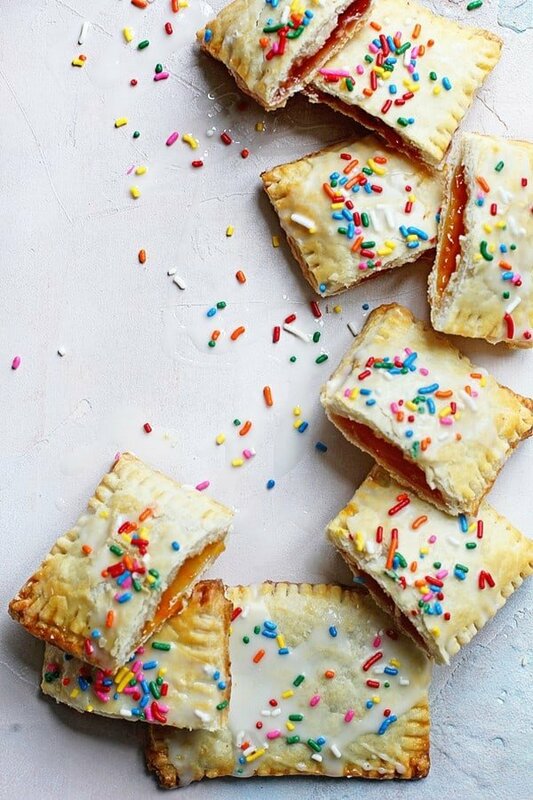 My Hubby would definitely love these Pop Tarts. Looking forward to more yummylicious dishes. Best wishes and Regards. Absolutely thank you so so much! I have been wanting to make some of my own pop tarts! Now I can! Hi there. Is the flour only supposed to be 1/2 cup or is it 1 1/2 cups. It seems like a lot of wet ingredients for only a 1/2 a cup. Also, you have water listed in the ingredients, but you mention adding 3/4 cup milk. I really want to make these, but I want to make sure I have it right. They look delicious. Hi Heidi, Thanks for finding that error. The right measurements are there now. There was a mix up in what my assistant posted. Thanks again and I apologize for any inconvenience. These are so adorable! 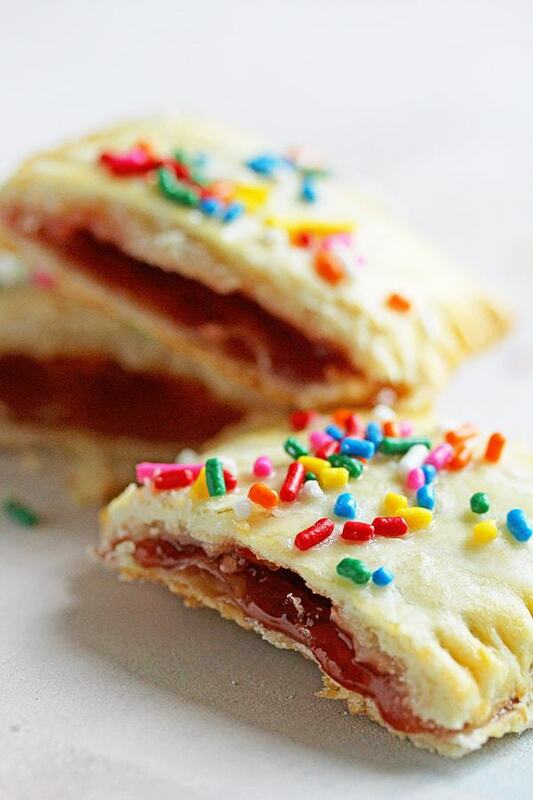 I’ve made “pop tarts” before, but hadn’t even thought about using jam as the filling (duh)! I love these! So easy with the jam for sure!! This homemade version looks fantastic! These are a must-make! 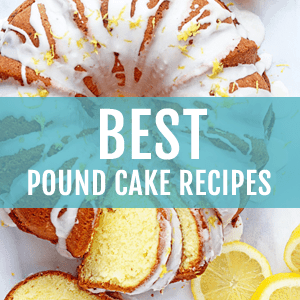 So fun for breakfast or even dessert! 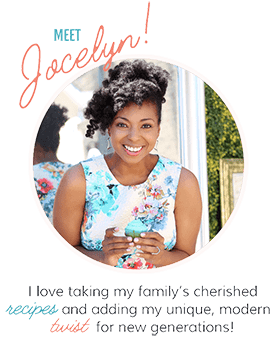 Ohhhhhh my gosh Jocelyn! Thank you so much for all the love and SPRINKLES today. So lucky to be in this talented and incredibly supportive, kind, and loving community. I’m obsesssssssssed with homemade pop-tarts and love the sprinks on top! They are super kid friendly! Even adults love them too! Those are some might fine looking pop tarts. They’re the perfect thing to bring to a virtual baby shower! They are so yummy. My fave part is the pie crust!